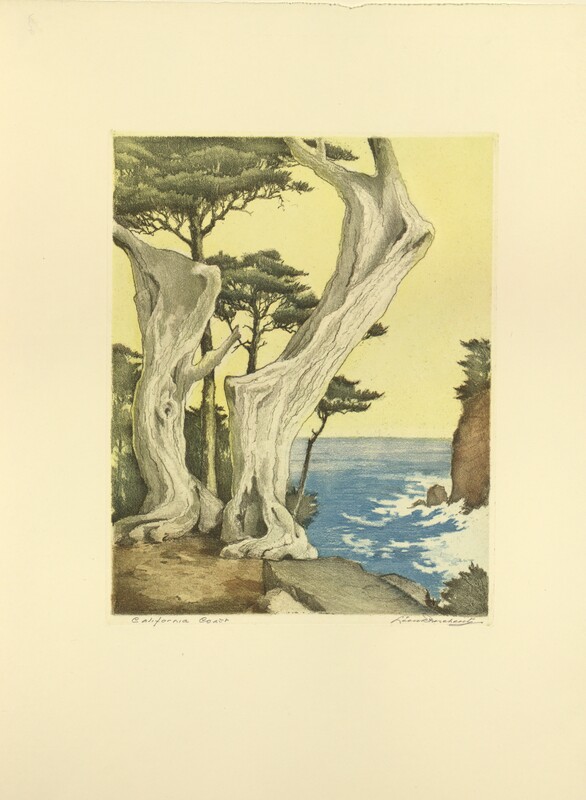 Color etching titled, "California Coast." 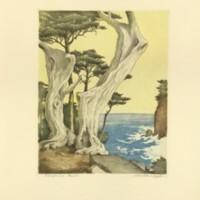 Image of coastline, ocean, trees, and dead tree in foreground. Matted and unframed. Includes insert with introduction and short biography. The Print Makers Society of California.